Dr. Lazar obtained her Bachelor of Science Degree in Psychology with a minor in Biology from the University of Pittsburgh and her Doctor of Optometry Degree from the Pennsylvania College of Optometry now known as Salus University. Dr. Lazar’s clinical training includes diagnosis and management of ocular diseases, specialty contact lens fittings, pediatric and geriatric eye exams as well as comprehensive primary eye care. She received her training at numerous hospitals throughout the United States including The Eye Institute in Philadelphia, the Einstein Hospital in Philadelphia, Ophthalmic Consultants of Connecticut in Fairfiled and Kay, Tabas & Niknam Ophthalmology Associates in Philadelphia. She is a member of the American Optometric Association, American Academy of Optometry as well as Connecticut Optometric Association. Dr. Lazar is also able to perform a comprehensive eye exam in multiple languages including Ukrainian and Russian. Dr. Lazar especially enjoys working with children and has participated in the volunteer Head Start program, providing initial screenings and eye exams to the children in Philadelphia. 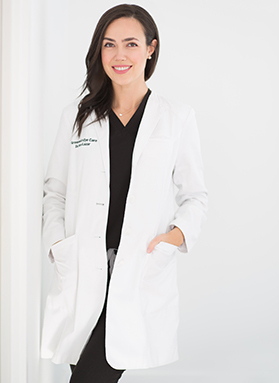 During her free time, Dr. Lazar enjoys traveling with her husband and spending time with her family and friends. She is a true food enthusiast and loves to try and cook different cuisines. To stay active she plays tennis and was on a college tennis team.